Microsoft Surface 3 or Surface Pro 3—the names are almost the same, but the price difference is significant. There are other similarities and departures in computing power and features. As with anything technology related, which one you should pick depends on how you plan to use it. So what separates the two Surface 3 machines besides the word ‘Pro?’ Let’s compare the specs. Microsoft has effectively mothballed the limited Windows RT for its tablet/notebook hybrids. Both the Surface 3 and the Surface Pro 3 run full-on versions of Windows 8.1 Professional, and the exact same applications that run on a desktop PC. This is a major step up from the Surface 2. The Surface 3 comes bundled with a year subscription to Microsoft Office 365 Personal, giving access to Office Suite programs like PowerPoint, Excel, and Word, and unlimited cloud storage for the duration of the subscription. Microsoft has promised free upgrades for Windows 7 and Windows 8.1 users when Windows 10 is released later this year. This makes both the Surface 3 and the Surface Pro 3 Windows 10-ready devices. It will be hard to visually spot the difference between the Surface 3 and the Surface Pro 3. The Surface Pro 3 screen is slightly larger (12 inches vs. 10.8 inches, more on this below). Both devices are crafted from magnesium alloy with a ceramic finish. You will have to pick them up to feel the difference. At 622 grams, the featherweight Surface 3 is noticeably lighter than the 800 gram Surface Pro 3. That extra weight comes mostly from the larger CPU and the fans that cool it. 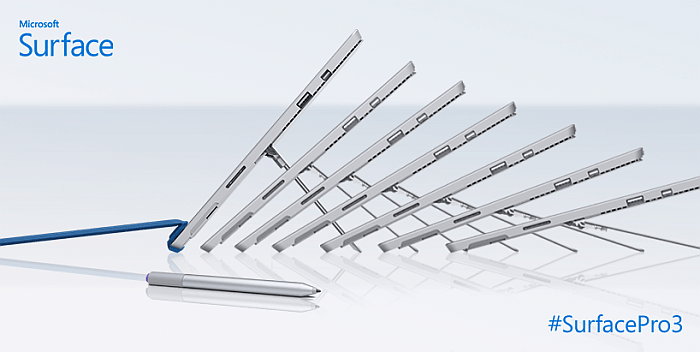 The Surface Pro 3 features a continuous kickstand that allows you to prop it up at any angle. The kickstand on the Surface 3 has three settings to choose from. As mentioned above, the Surface Pro 3 has a slightly larger screen (12 inches vs. 10.8 inches) and an exceptionally bright and crisp 2,160 x 1,440 resolution. 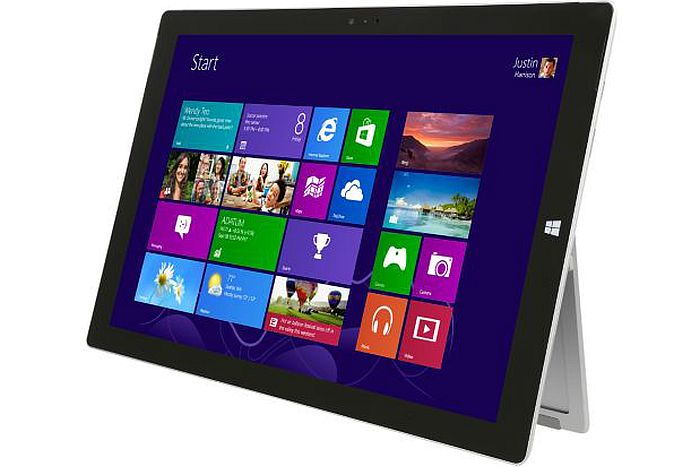 The Surface 3 is one notch lower at 1,920 x 1,280. Both utilize the same ClearType HD technology, and very capably handle HD video. Whereas a 16:9 aspect ratio is more common for tablets, and better attuned for widescreen video-watching, a 3:2 ratio tends to fare better for doing work in portrait view. With Intel Core under the hood, the Surface Pro 3 offers adequate CPU power for real production work. It can run heavier production programs like Photoshop, handle large spreadsheet operations on QuickBooks, and is designed to take on CPU-intensive CAD programs. Having an Intel Core processor brings the power of a desktop workstation into a slim form factor hybrid—which makes the Surface Pro 3 a remarkable business machine. Read: Intel Processors—Which Should You Pick? The Surface 3 packs a quad-core Intel Atom x7-Z8700 that is powerful for its class of CPU, and an upgrade from previous Surface iterations. The low-end of Intel processors, Atom CPUs are commonly found in Android and small Windows tablets, and designed for media consumption and light production work—preparing documents, smaller spreadsheets, simple photo editing, PowerPoint presentations, and the like. When used beyond that capacity, performance lag will be noticeable. The Surface 3 can be charged via micro USB—a unique feature for a Windows PC. Micro USB is probably the most common smart phone charger in use, which means you will need one less charger or adapter in your laptop bag. The Surface Pro 3 and Surface 3 keyboards are not interchangeable. Make sure to purchase accordingly. 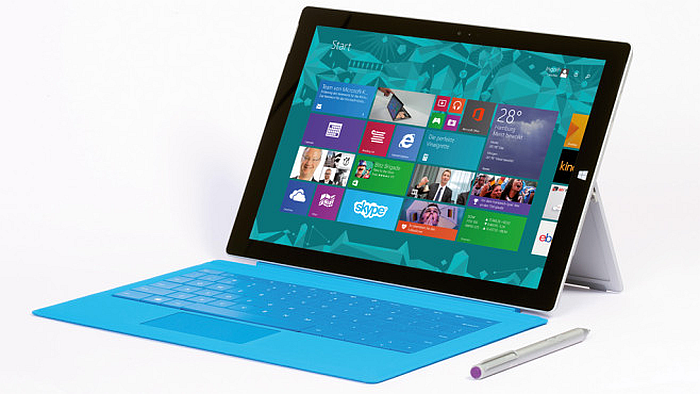 Tell us in the comments: Surface 3 or Surface Pro 3—which are you choosing for your business? Microsoft Surface 3 or Surface Pro 3—the names are almost the same, but the price difference is significant. Let’s compare the specs.